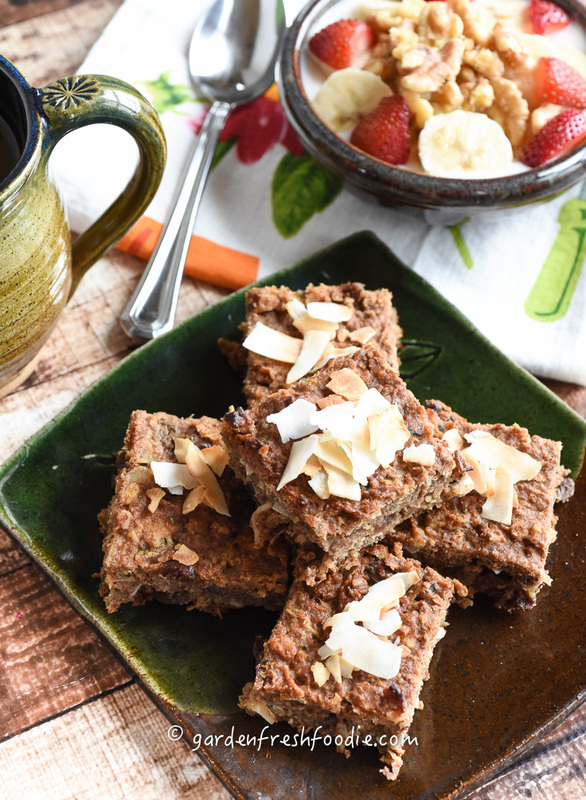 Want something healthy that you can make in a large batch and serve up for snacks or breakfast?! 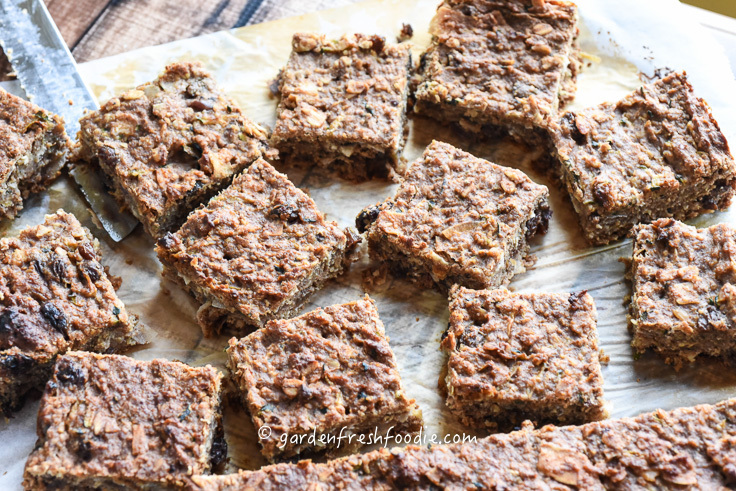 And….it uses zucchini and oats in a way your kids won’t even guess? Heck yes! Well….here it is! 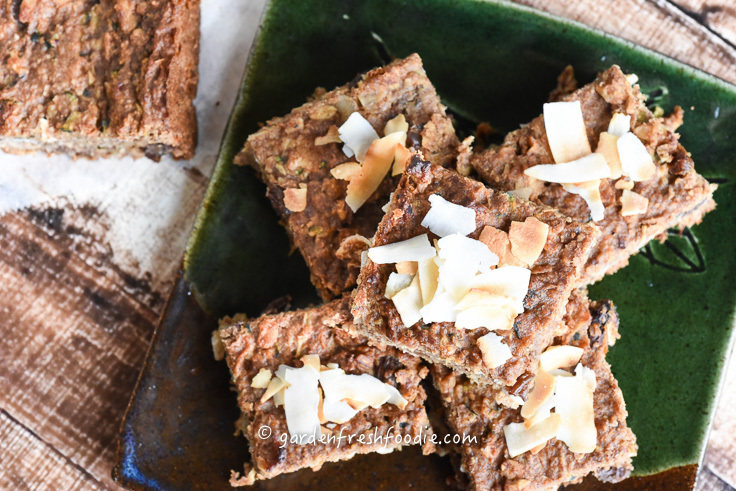 No refined sugars, oils, or flours, I give you zucchini breakfast bars! I use oat flour in place of traditional flour for this recipe. I make my own. To do so, simply place oats in a blender, like a Vitamix, and blend for about 30 seconds, until fine. That’s it, and way cheeper than buying it. If you don’t need certified gluten free oats, you can buy organic oats in bulk. This recipe also uses date paste. Dates are high in potassium, fiber, and magnesium, making them an awesome alternative to traditional sugars. Because of their high fiber content, their sugars are released more slowly into the blood stream. To make date paste, simply soak dates in warm water for about 10 minutes. Drain and place into a high powered blender, like a Vitamix, adding a little water to blend (amount of water depends on how many dates you’re using). Add more water if needed to create a paste-like consistency as shown below. 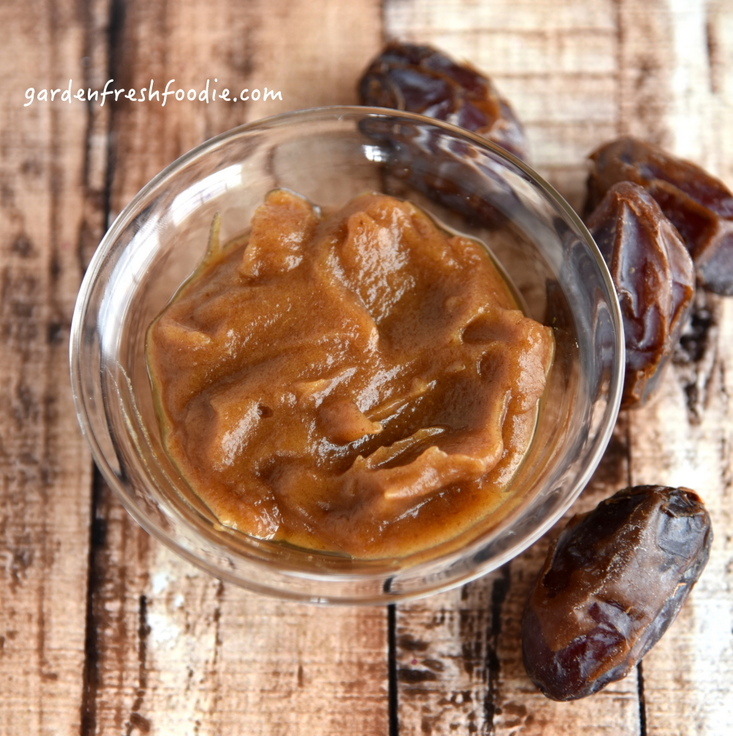 Date paste is easily made in larger amounts and frozen for later use. I made this the other day for the first time and I think it will become a new part of the zucchini cooking season. I freeze all of the baked goods I make during this time, since it’s when my foods at their height and always have a treat to bring to a party throughout the year! I salt the zucchini ahead of time to release some of the moisture. You can skip this step, but know that your bars will take slightly longer to bake off the excess moisture. If you do skip this step, add the salt called for to the batter. You can also make with frozen shredded zucchini. If doing this, also skip the salting step. The freezing process naturally breaks down the cell walls of the zucchini. 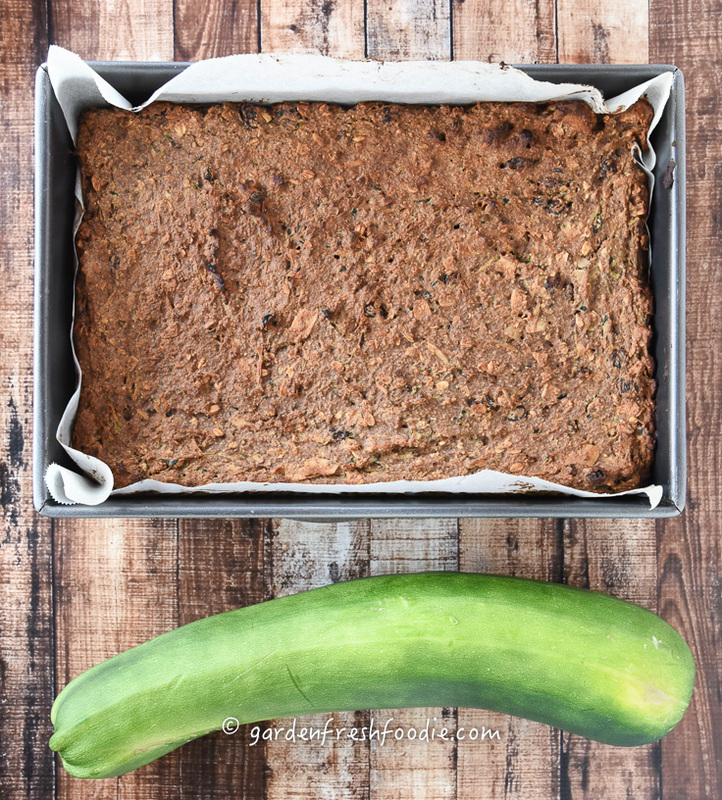 Allow zucchini to thaw, squeeze out excess water, and add along with salt to the batter. This batter came out a little thick, so you can even split it up and put some in another additional pan, like an 8×8. Just be sure to decrease baking time if you do so. 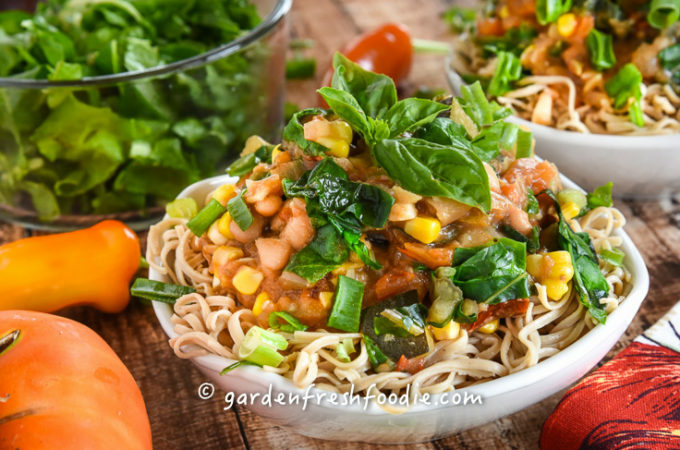 I think other great additions to this would be some fresh chopped apples or pears if making this in the fall or summer seasonal berries like blueberries or raspberries. If you are concerned with fat amounts, particularly saturated fat, omit the coconut and add in some chopped fruit. Place shredded zucchini into a colander. Sprinkle with salt, and let sit for about 30 minutes. This will release excess moisture from the zucchini. Squeeze out excess moisture. If using frozen shredded zucchini, thaw, and skip the salting step. Add salt directly to batter. 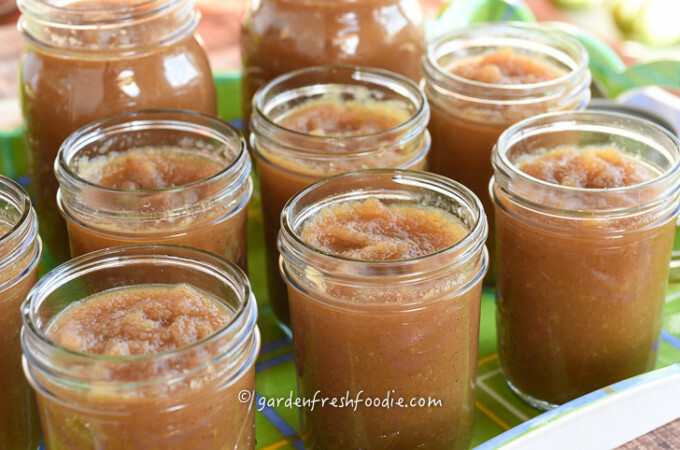 Add apple sauce, vanilla, almond butter, and date paste to a mixer. 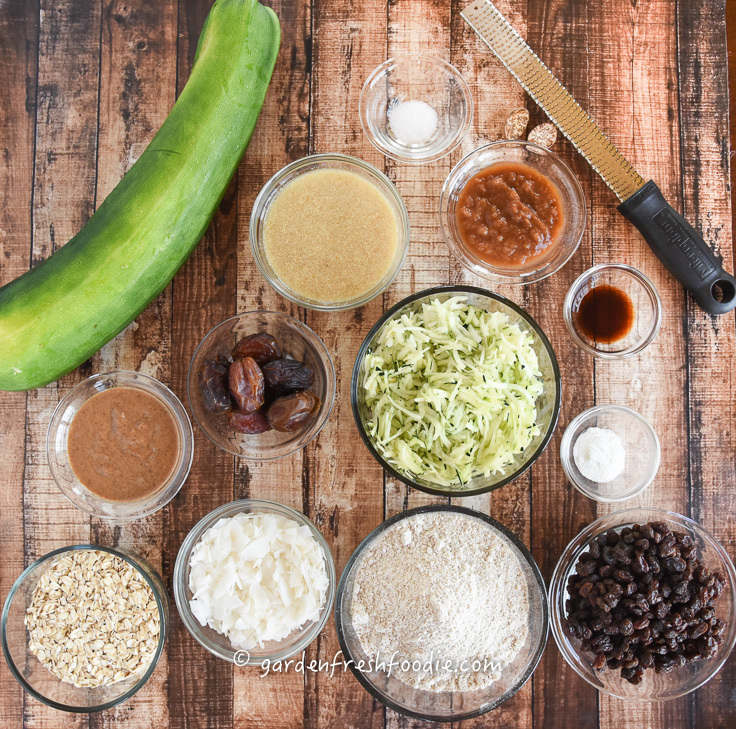 Mix dry ingredients in another bowl, and gradually add into wet mixture, alternating with zucchini. Pour mixture into prepared 8×12 pan, dividing into an additional 8×8 pan if you’d like the bars to be thinner (the batter is thick, and can be divided into 1 large and 1 smaller pan if desired. We put it all in the 8×12 pan). Be sure to adjust baking time if dividing. 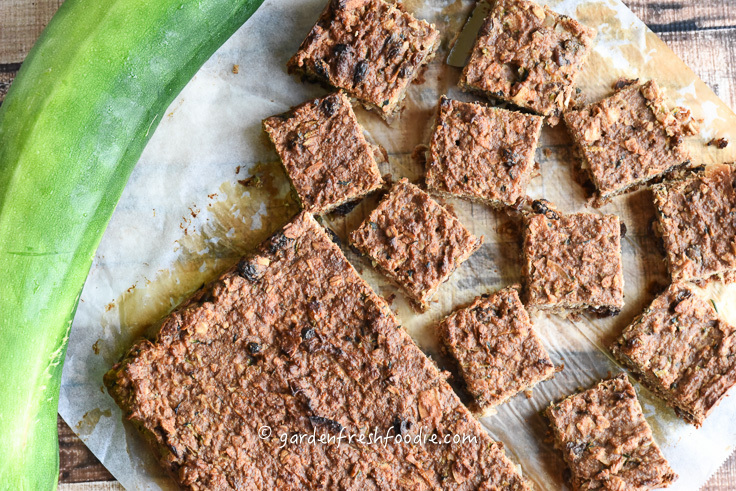 Can be frozen, or serve with freshly toasted coconut. Pour mixture into prepared 8x12 pan, dividing into an additional 8x8 pan if you'd like the bars to be thinner (the batter is thick, and can be divided into 1 large and 1 smaller pan if desired. We put it all in the 8x12 pan). Be sure to adjust baking time if dividing. 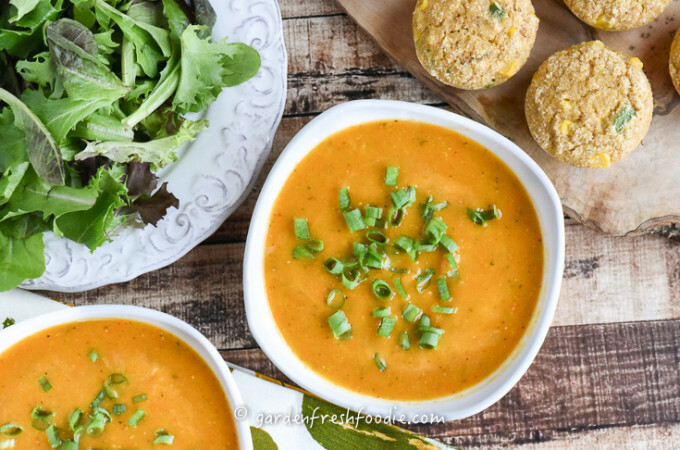 This recipe never says what to do with the flax egg and additional 2 T water. I assume just mix it with the other wet ingredients?